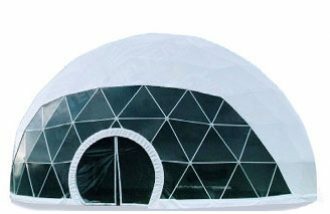 Extreme Marquees offers a huge range of indoor and outdoor promotional options. All of our promotional banners, advertising flags, fence wraps and promotional products can be custom printed and will help to boost the exposure of your product, brand or event. From our small and practical Pod Pop Banners, to our popular Flare and Wave ranges of Flag and Pull-Up Banners, we can provide vibrant and eye-catching branding solutions. We can also custom print table covers, fence wraps and banners, advertising flags, branded umbrellas of all sizes and large-scale banners do fit almost any application. All our banners and promotional products are designed to stand out to boost your brand or event. Printed promotional banners, such as our pop up and pull up banners, are a must have item for any business with a street front or who attends trade shows and events. Custom printed banners are a perfect way to draw attention to your business, make it easy to find and create brand recognition. Extreme Marquees manufactures and distributes a range of promotional outdoor and pull up banners including our standing Wave and Teardrop Banners, Flare Banners and Surf Banners, Trestle Table Cover Banners, Fence Wrap Banners and Custom Banners. Extreme Marquees has been providing customers with outdoor promotional banners for 14 years and maintains a very high standard of quality control and customer service. Customers repeatedly come back to Extreme Marquees to purchase our custom printed pull up banners and teardrop banners as they’re assured that they will always receive a very high-quality product. Furthermore, with our highly trained sales, graphics and logistics team, ordering is simple and easy, and customers are notified at all stages of production. With highly efficient infrastructure in place, Extreme Marquees can supply custom printed banners and other outdoor promotional items in a very short time frame. The Wave and Wave Plus Banners and Flags are a popular outdoor banner style from our range. These banners are found outside businesses, at school and club events and at every field day or trade show. The Flare Plus and Teardrop Banners and Flags are our flagship outdoor banner range. These banners and flags are ideal for any business and are seen outside business storefronts, at trade shows and at school and club events. The Extreme Marquees Pull-Up Banner offers a simple, light-weight and effective branding solution for your next event, perfect for display branding, info-graphics, flowcharts, or product information. Shop our Pull Up Banners online! Get maximum impact with an Extreme Marquees professionally printed display system. These high-quality systems are made from anti-corrosion anodised aluminium and lightweight durable plastics allowing you to make a bold statement that is mobile for any setting. This Superboard is a professionally printed, strong display system that demands attention. These high-quality signs are made from anti-corrosion anodised aluminium and lightweight, durable plastics, allowing you to move your bold display option from setting to setting. The Pop Pod Banner is a light weight simple promotional banner that provides excellent cost-effective exposure. They are lightweight, multi-purpose and can be custom designed with full colour digital printing. 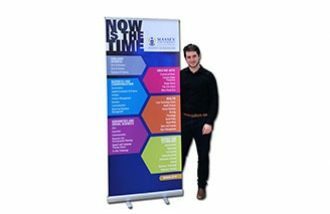 The Shuttle Pop Banner is a unique triangular shaped promotional banner with a simple design, easy to set up and looks fantastic when branded for promotion. These promotional signs and banners are perfect for a variety of settings including trade shows, exhibitions or business store fronts. The Oval Pop Banner is a simple and easy to setup promotional banner that is ideal for promotions on a budget. This banner is simple lightweight and has two large sign panels which can be custom printed with any design! The Frame Banner is a versatile option for adding branding to a marquee without the need for upgrading to a custom printed roof. The frame work attaches to the legs of the marquee and the printed banner can be easily interchanged. This is a smart and convenient option to add some extra promotional printing for your marquee or gazebo and can be completely custom printed! Peak Flags are a simple custom printed pinnacle flag designed to add presence to a folding marquee or gazebo. This promotional advertising flag sits in the central pole of the marquee and adds extra versatility and branding options to our folding range of marquees and gazebos. Custom Printed Banners are made-to-order banners in either PVC of Polyester fabric. Our Custom Printed Banners include eyelets and ropes, so they can be easily attached for the right position. Features: Eyelets every meter, Sleeve Top & Bottom with Rope. Fence Wraps are an affordable promotional banner option that easily attaches to fences and barriers. This breathable PVC mesh allows for light visibility through the material without compromising the full digital print on the fabric. Trestle Table Covers are an affordable promotional option perfect for any occasion. The entire cover can be custom printed for its purpose and can be custom made to fit any size table, making this the perfect promotional item to bring along to any trade show, exhibition or market. Our trestle table covers are also available in both PVC Coated polyester and 100% PVC fabric. Trestle tables are ideal companions to the table covers and both work well in most promotional environments whether you’re attending a promotional event, function, trade show or market. The tables are sturdy and provide versatility when paired with our range of marquees. The Banner Cross Base is a practical indoor banner base perfect for trade shows and various other uses where stability is required without excessive outdoor forces. They also make a neat and tidy addition for our range of banners and advertising flags. The Square plate is a heavy-duty outdoor banner plate designed to withstand reasonable weather conditions. The Square Plate is suited for outdoor displays such as flags and banners that prevent the usage of ground spikes. The Ground Spike is the ideal and most practical outdoor banner mount. The spikes are designed to withstand adverse weather conditions and are built to be the toughest spikes on the market for outdoor banners. The Heavy-Duty Ground Spike is designed to withstand even the toughest weather conditions, providing greater stability and security for your promotional flags or banner. The Marquee Leg Connector is designed to provide the ultimate elevation for outdoor banners. These connectors allow you to attach outdoor wave, flare and teardrop banners to the leg of our marquee range in whatever position you wish! The 45 Degree Wall Mount allows you to secure your promotional flag or banner at an aesthetically pleasing 45-degree angle. With the 90-degree wall mount, your promotional flags and banners can be hoisted and stabilised at any height. The Floor Mount allows you to mount any of our flags and teardrop banners from the floor in any position with stability and security. The Wheel Holder is ideal for banners displayed at outdoor exhibitions and events where there is close-proximity to a parked vehicle. Simply park the car over the wheel holder and the weight of the car provides the ultimate stability for the banner or flat! Extreme Marquees has one of the widest and best value range of promotional products in the Australian market today, including pull up banners, teardrop banners and advertising flags, trestle table covers and printed fence wraps. Our banners are easy to set up and come in a style, shape and size for every application. Our custom printing can provide full colour digital paper sublimation which ensures the most vibrant of colours. A large range of banner bases and accessories are also available so that installation can be made on grass or concrete or even make use of walls or parked cars at your event! Extreme Marquees manufacturers Australia’s largest range of outdoor banners. Outdoor banners and advertising flags are a very cost-effective method to promote your business or company. Custom printed banners come in all shapes and sizes. Our Pull Up, Shuttle, Pod and Oval banners are an easy to set-up portable customer banner solution. No longer is setting up promotional banners a difficult or time-consuming task. This range of printed banners packs into a small flat bag for easy transport and storage. To set-up these banners simply remove from the carry bag and twist open. Within a few seconds the banner is ready to be used. The banner frame is made from spring steel which, when opened, forms a unique shape that is perfect for use at trade shows and exhibitions. When used outdoors, these banners and advertising flags have four anchorage points that can be used to secure to the ground. Twist banners are fully colour digitally printed. Graphics can be simple logos through to complete photographic images. Commercial grade polyester fabric is used across all of our pop and pull up banner range. High quality imported inks are used and have fade inhibitors added to improve the banners useful life span. Extreme Marquees manufacturers roof peak banners and advertising flags that are a great promotional accessory. Peak advertising flags are ideal if you want to add more colour and movement to any printed folding gazebo or marquee package. Custom printed peak advertising flags are easy to install and can be ordered with any custom roof. Peak flags are designed in conjunction with our PVC or polyester gazebo roofs. When being produced, these canopies have a waterproof rubber grommet assembly added into the apex. Peak flags are an inexpensive accessory that will make your pop up gazebo or marquee stand out at any event. Custom printed trestle table covers are a great way to turn a standard table into a large colourful banner and are available is set sizes or can be customised to fit any table. Images and graphics can be printed on the top and sides. Our trestle table covers and prints are produced in either long lasting waterproof PVC or light weight polyester – A very simple yet effective method of turning a normally unused space into a promotional banner. Extreme Marquees manufacturers feather and teardrop banners and flags in 3 styles and 3 sizes. Feather banners come in our Wave, Teardrop, Flare or Surf banner designs. They can be printed on one or both sides. Our double sided custom printed feather banners have a silver piece of fabric that is sewn into the middle of the banner to prevent the image from showing through the fabric when used in bright sunlight. Our custom printed teardrop banners are digitally printed by using a paper transfer method. This method ensures colours are vibrant and sharp. Paper transfer printed banner fabric is passed through a special heat transfer machine to preshrink the fabric. After this process, the fabric and digitally printed transfer paper is again passed through the heat transfer machine. The ink is infused onto the banner fabric at 200 degrees. Our feather banner range is available in small, medium and large. Feather banners can be set up on a variety of stands. For outdoor use at agricultural fairs and events, ground spikes are the ideal accessories. Ground spikes are available in standard or heavy duty. Ground spikes are perfect for windy conditions and can be easily secured into the ground with a hammer. Wheel mounts are also available and are perfect for real estate agents wanting to promote open house inspections or auctions. Indoor mounts are also available.